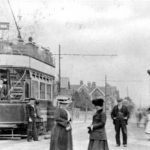 Today in Gosport’s Past:- on 3 February 1883, public services began on the tramway extension from Anns Hill to Brockhurst. 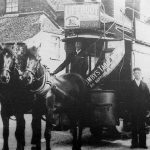 The first horse-drawn tram service from Gosport Hard to Anns Hill operated on 17 July 1882, routed via the High Street, Clarence Road and Forton Road, passing through the town ramparts near where the guardhouse of St George barracks is, and followed the old roadway from there to Spring Garden Lane (the section which is now a short one-way system), turning right at Spring Garden Lane, then left into Forton Road. 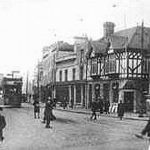 In 1883 the town gate was demolished, along with parts of the ramparts, the moat filled in, and what later became Mumby Road (between the old town gate and The Railway Inn) constructed; the tramway was realigned along the new route when it was built. 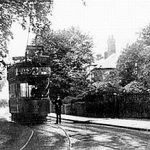 At the Brockhurst end, the new extension’s terminus was close to what was, until fairly recent times, The Wheatsheaf pub, although the line reached just past Elson Lane (now Elson Road), to enable one tram to pass another at the terminus. 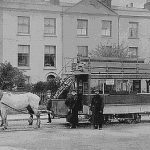 The trams (both single and double-decked) and horses were kept in the stables & car sheds at the rear of The India Arms Hotel, in Gosport High Street; the car shed extended as far as South Street. 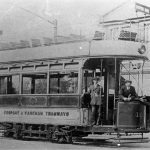 The tramway was converted to 4 ft 7 3/4 in gauge at the end of 1905/beginning of 1906, and a public electric tram service operated from 24 January 1906. 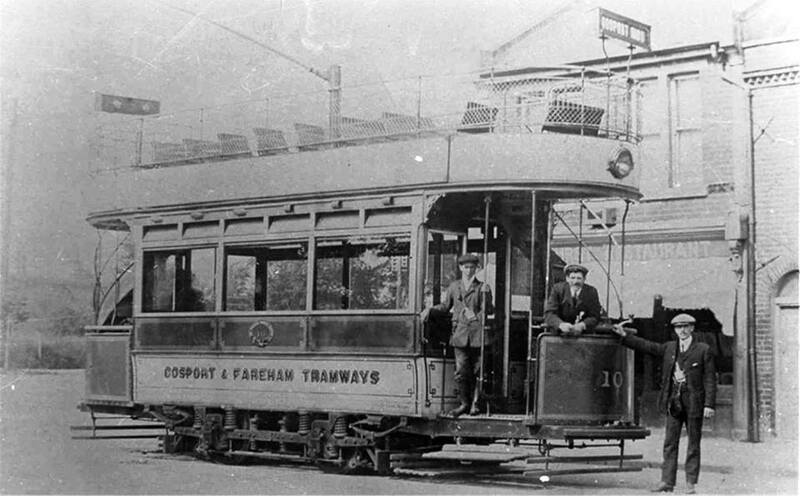 This larger-gauge tramway continued to Fareham via the main road and Portland Street, and the terminus was close to Fareham railway station, adjacent to The West End Inn. 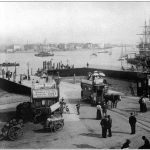 Between the end of the horse-drawn trams and the commencement of the electric trams, horse-drawn omnibuses (omnibi?) 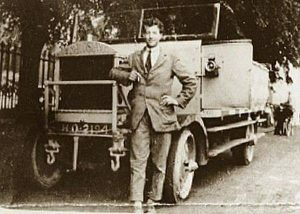 were brought into use. 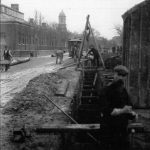 The stables & car sheds behind The India Arms Hotel were no longer needed, although they remained there until at least 1963, and a new depot & power station for the electric required for the electric trams was built at Hoeford. 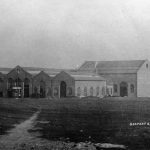 The tram depot continues to be used to this day by local buses. 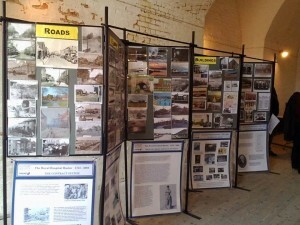 The Walpole Road to Bury Cross section of tramway opened on 14 October 1906, and despite plans for extensions to Alversoke via both The Avenue and Anglesey Road, and to Lee-on-Solent, no further tracks were built. 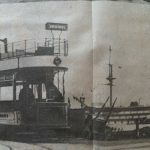 The Bury Cross and Hoeford to Fareham West End routes closed to trams towards the end of 1929, and the very last tram between Hoeford and Gosport ran on 31st December 1929. 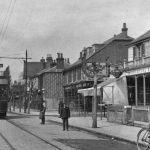 The 33 electric trams each carried 55 passengers, and the services ran at 10 minute intervals. And CHEAP! So much for progress….